The (2) shelf, modular Stackfiles units set-up quickly and easily to form instant storage systems, without the complicated assembly associated with other file storage systems. The modular design allows you to stack two, three, four or five tiers high. This means you can buy as many file units as you need now and still have the option to add on later. And since they're designed to hold up to 250 pounds per tier, you can fill them with x-rays and medical records without any sagging or buckling. All units are constructed of heavy-duty 16 and 18 gauge steel, reinforced by eighth inch channel steel. 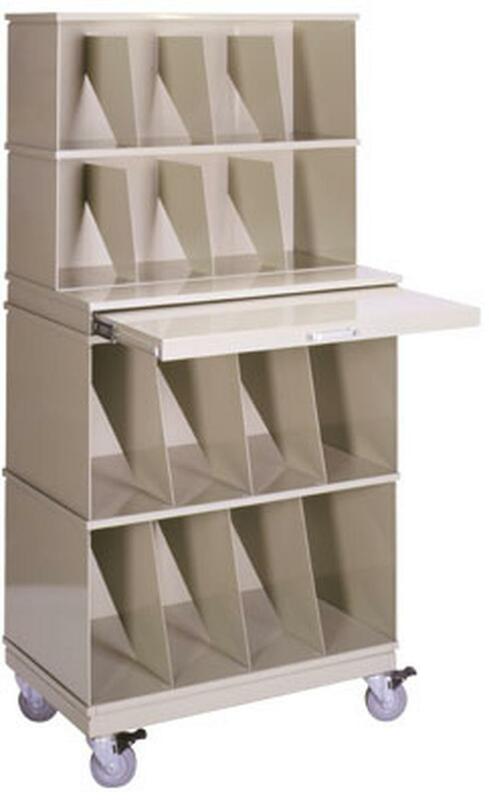 18 gauge steel dividers are adjustable to prevent slumping and curling of folders and also give the unit added rigidity.